It has been coming increasingly difficult to get my 4 year old to try new things. Also, it has been hard to fit in all his servings of vegetables during the day. I continue to try to make old recipes new and enticing for my little one. I believe that if you can make foods fun kids will try anything (from my experience). My sons favorite snack is muffins, so I decided to turn our meatloaf dinner into meatloaf muffins with icing. 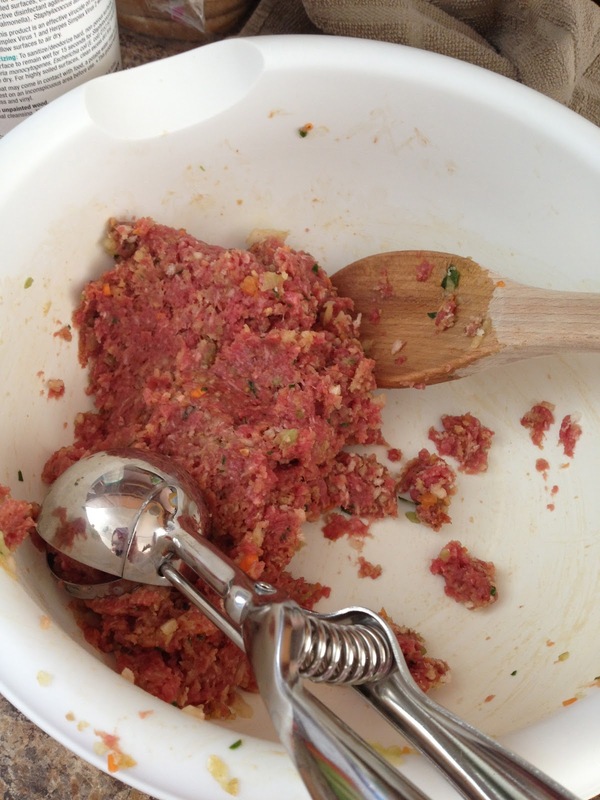 Here's how we created our very own healthy meatloaf muffins with icing. 1. 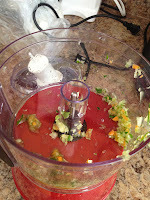 First put carrots, celery, onion and spinach in the food processor (or chop finely). 2. 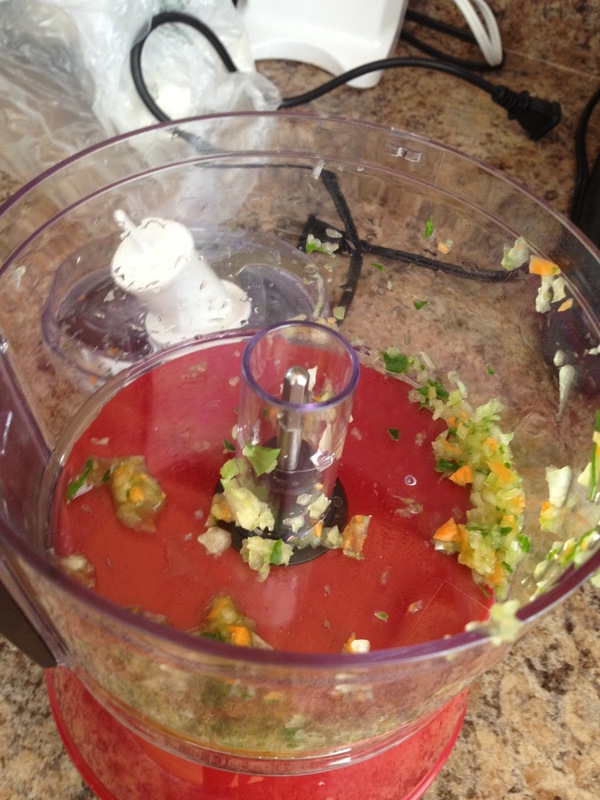 Place all ingredients in a bowl and mix until blended (don't over mix). I added about 1 TBSP of ketchup to the mixture. 3. Take an ice cream scoop and scoop out mixture into your muffin pan. 4. Once muffin pan is full allow your child to "ice" the muffins with a little extra ketchup and then place in the oven at 450 for about 20 minutes. 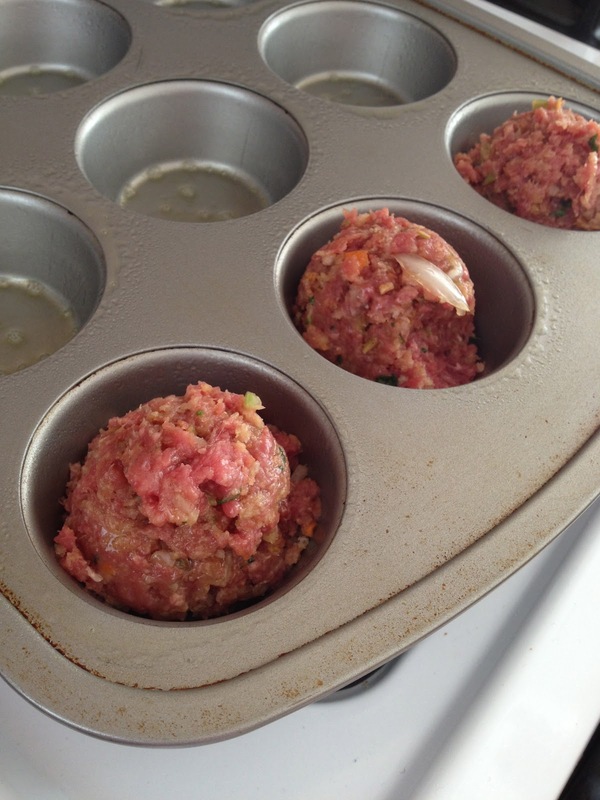 Depending on what treat your child likes, you can call these meatloaf cupcakes. 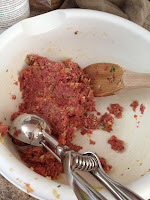 Even better you could flatten them out a little and layer two discs and call it a mini meatloaf cake with icing. What special meals do you make for your kids?